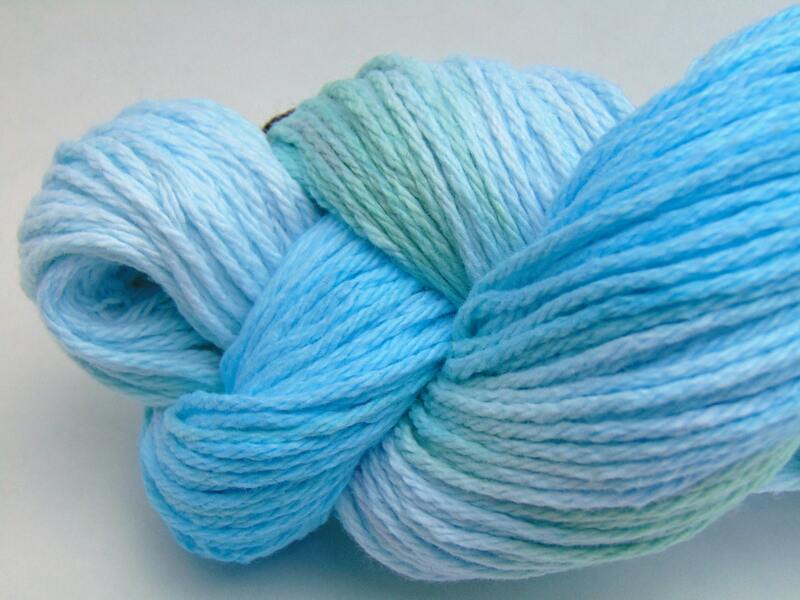 **Please be advised this is a short ombre, meaning it is a repetitive color transition through out the skein. 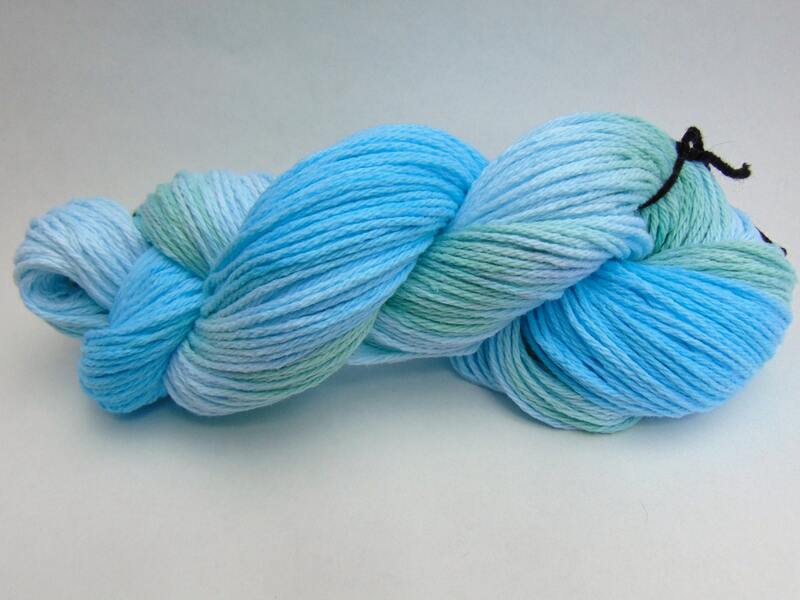 Not 1 transition through the whole skein which would be classified as a gradient. 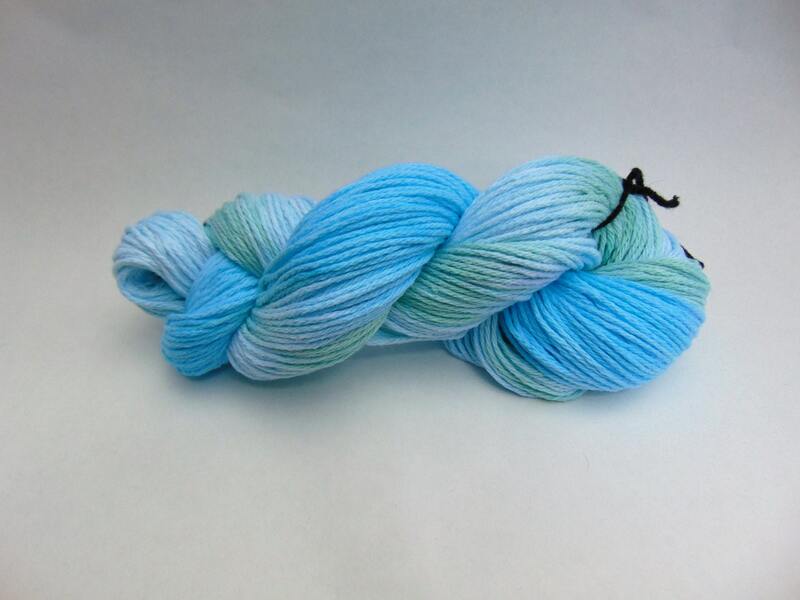 Please see my gradient section for this type of transition colorway. Rain Drops "Storm Warning Collection" Is a pretty combinations of pastel blues and greens that remind me of a spring shower.